All of our Plant City, FL insulation contractors are properly licensed and insured to state regulations. Finding the right insulation contractor can be an important part of ensuring that your home is properly insulated. Without proper insulation, your home could be susceptible to air leaks, high energy costs, and mold. 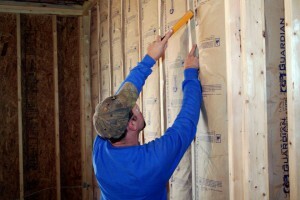 An insulation contractor will pick all the right materials and bring a high level of expertise to the job. Whether you are looking for attic insulation or need insulation replacement in a part of your home that has been damaged by water or fire, hiring an insulation contractor is your best bet towards having the job done efficiently and correctly the first time. Your insulation contractor from Polk County Insulation brings experience and expert training to every job. All of our Plant City, FL insulation contractors are properly licensed and insured to state regulations. We have been family run and owned for more than 20 years and work in all areas of insulation, including blown insulation and insulation removal. If you need new insulation for your home, call us today. We will send a trained and certified insulation contractor to come inspect your house and provide you with a detailed quote. Also, since we participate in local utility rebate programs, we’re able to pass these savings onto you, ensuring that your quote is fair and reasonably within your budget. Whether you are looking for blow-in insulation or batting insulation, we are your right choice for the job. Call us today and see how we can exceed your home insulation requirements.